North Peace Justice Society’s mission is to foster a safe and caring environment, by administering the Restorative Justice Program when a crime has been committed or disputes have occurred. With treatment of dignity and respect for all, the restorative justice process will be used to bring together the offender, victim, supporters and any other affected community member to collectively decide on meaningful reparations for the harm that has been done. Our vision is to become a reputable and vital resource for crime prevention in Fort St. John and the North Peace area. In the mid-nineties there existed a committee of concerned citizens who held meetings with Fort St. John RCMP, at the detachment, to discuss any community concerns. At one of their meetings a local Crown counsel discussed a presentation she attended about restorative justice practices in Australia. The committee showed tremendous interest in restorative practices and endeavored to begin such a program locally. In 1996 a community program was organized and began conducting community justice forums in Fort St. John. By July of 1997 the Fort St. John Justice Forum Society was formed. The Fort St. John Justice Forum Society adopted the RCMP model of community justice forums and coordinated the very successful Youth Justice Program, focusing on first time young offenders. At that time the program was not in receipt of Provincial support, only a start-up grant from the City of Fort. St. John. In an effort for sustainable funding beyond the municipality, it was recommended to form a new Society enveloping multiple community justice programs. Fort St. John City Counsel motioned in particular to pairing with the established Victim Assistance Program, which was receiving provincial funding from the Ministry of Public Safety and the Attorney General. The Society acted on the recommendation and the new and currently operating North Peace Justice Society was incorporated in the summer of 1998. The Society’s board of directors began to administer both the Community Justice Program and the Victim Services Program. Over the next five years both programs became successful; eventually, each having different needs that could not be met by one volunteer board of directors. The Victim Services Program transitioned in 2003 from NPJS to report to The North Peace Community Resources Society (now Community Bridge), where it still provides services to this day. 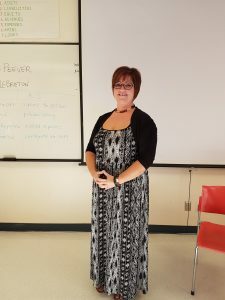 After the removal of the Victim Services Program the North Peace Justice Society revamped itself once more and changed the name of the Community Justice Program to the Restorative Justice Program. The program continued to follow the RCMP based RJ model, and later offering victim-offender mediation services. The Society has had its struggles over the years maintaining sustainability, as many non-profit agencies do. There were a few years in which the program’s existence was in question and had just enough funding and volunteers to keep afloat. In 2010, program, staff, and board restructuring brought NPJS back into the forefront of recognized community services. New volunteers, new community connections, and new partnerships were formed, opening the doors for program recognition, and in turn, community and corporate sponsorship. The following five years were a move in a positive direction for the Society. The year 2013 was a busy year for NPJS. The Society made an unlikely acquisition and took over management of the FSJ Community Gardens, it launched a pilot youth mentor program, and began co-hosting the RCMPs Grade 10 focused P.A.R.T.Y. Program. Even though the “gardens” are administered as a separate entity with its own sources of funding, the gardens are an integral part of the Restorative Justice Program. The gardens serve as a placement for RJ program participants to work community hours and as a means for program participants to give back to the community, build positive community connections and even learn new skills. The gardens were instrumental in putting a “kinder” face on a serious program. The pilot program called Talking Peace, with a mandate of youth mentorship and positive role modeling, was launched with two years of funding from United Way of Northern BC. The Society’s participation with P.A.R.T.Y. Program is a complimentary connection. Both P.A.R.T.Y. Program and the Restorative Justice Program explore the negative effects of one’s (often uninformed) choices on themselves and others, and how to avoid those choices in the future. North Peace Justice Society strives to maintain a positive presence within Fort St. John and the North Peace area. We look forward to many more years of facilitating community healing and harmony.